All form fields are required. Please enter all fields. Your kids come in contact with many different adults in their lives. Many of these are people that you do not know well, yet you are entrusting them to care for your children or at least keep them safe. The question is are all of these people in your kids lives trustworthy? There is an old saying that we should give people the benefit of the doubt, but when it comes to your children, the question to ask yourself is if that is really the track you should be taking. Consider that no one has really earned benefit from you, especially when you are asking them to make sure that your children are kept as safe as possible at all times. This is why it is a good idea to perform criminal background check on virtually anyone that regularly comes in contact with them. A lot of parents are frightened when they hear about abductions. The worry that some unknown person could drive up in a van, take their kids and they will never see them again. The truth is that this is a far less common occurrence than most parents think. Children are much more likely to be harmed by someone they know – the people in your life. What this means is that teachers, other parents, counselors, coaches, mentors, and other adults in their lives are the ones to be more concerned about. 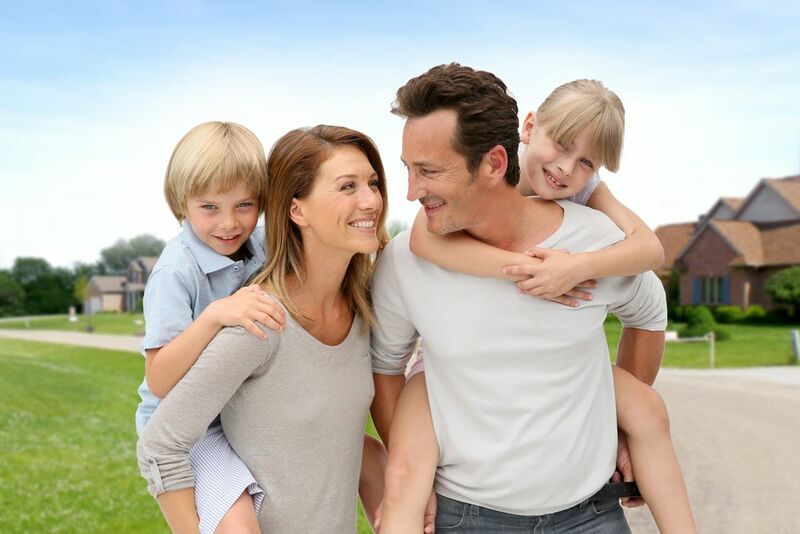 Because they are able to build up a much closer and more intimate relationship with your children, your kids will become much more trusting with them. Kids are quite often told that they should trust these people and listen to them. A teacher or coach is often the next most important authority figure in their lives, after you and your spouse. You may not have even considered it before, but you could even be inadvertently helping these men and women to prey on your children, and this is why it is best to take every precaution you can to keep them safe. A lot of people may read this article and think that this is just not them. They shouldn’t snoop into the background of their kid’s teachers and friends’ parents. But understand that predators are out there and this is what those adults are hoping for. They don’t want you checking on their criminal past and just want you to trust them. But if you don’t check into the important adults in your kids lives, you could be missing an opportunity to prevent something disastrous from happening. You should perform an arrest record search of every adult in their lives that you can. Check Criminal Record can help you get a very comprehensive set of jail records, arrest records, and arrest warrants, if there are any – so that you can know for sure if there is anything to be worried about. Again, no one likes to be suspicious, but it pays to be so at times, especially when you are talking about your children. New FAA regulations announced this past week require commercial drone pilots to undergo a criminal background check prior to legally operating aircraft in US airspace. On June 21, the FAA finalized its rules regulating how unmanned aircraft are operated across America. The new rules specifically target commercial drones under 55 pounds, a category that the FAA has labeled as Small Unmanned Aircraft Systems (sUAS). Any pilots of sUAS drones must receive a Security Threat Assessment (STA) background test from the TSA before they are allowed to operate in US airspace. The FAA describes the screening as part of the certification process. Background checks are expected to take up to 7 days, although the entire certification process lasts between 6 to 8 weeks. One of the key parts of these new regulations is that drone pilots must submit to the same background check criteria used to screen pilots and airport security personnel. “The FAA defers to TSA’s established STA, and TSA’s determination of what factors, such as items contained within an individual’s criminal record, will rise to the level of disqualification for a remote pilot certificate,” explains the FAA rules. Having a criminal record isn’t an immediate cause for removal of a license. However, certain items within that criminal record can prompt license removal. Interestingly enough, those TSA screening criteria are the same criteria used to put individuals on terrorist watch lists. Obviously, there’s a lot of controversy over the effectiveness of terrorist watch lists – which has made some drone pilots worry about being flagged on a background check for no apparent reason. After all, nurses, government personnel, and truck drivers who carry hazardous materials all have to undergo background checks prior to beginning a job. 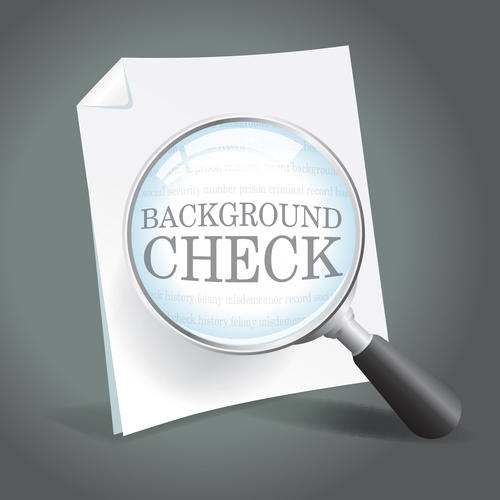 What Happens If You Fail A Background Check? Part of that due process is receiving a notice from the TSA after they’ve reviewed your application. At this point, you have the opportunity to appeal before an administrative law judge, which is basically a low-level court officer appointed by the government to hear complaints regarding government agencies. Are you unsure what’s on your criminal record? Worried there might be some mistaken bit of information on your record? Check your criminal record today and make sure you don’t have any surprises preventing you from flying a drone. Check Criminal Record uses an intelligent algorithm to comb through databases across America to find the information you need. Whether you’re searching for your own information or for somebody else’s, your entire search is completely confidential. 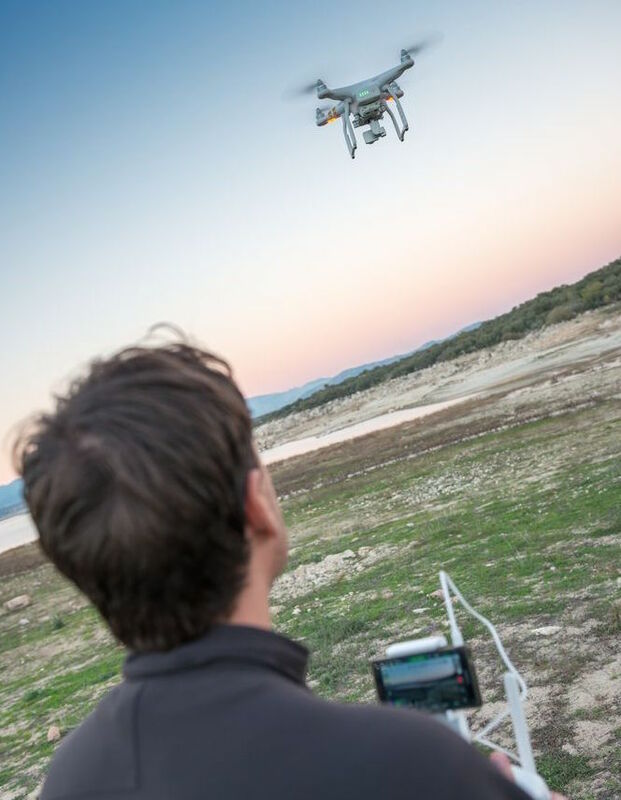 The laws above apply to all commercial drone pilots – which includes anyone operating drones for commercial activity. However, there are increasing regulations on those who fly drones as a hobby: non-commercial operators who fly drones heavier than half a pound are legally required to submit their name and address to the FAA using an online registration system. In any case, the regulations against drone pilots have been steadily increasing in recent months. If you’re a drone pilot worried about your future hobby, consider getting a criminal record check today: it could help you avoid a massive headache in the future. If you’ve ever had a job, then you’ve probably had a criminal background check performed on you. There’s a lot of misinformation on the internet when it comes to background checks. Despite the fact that background checks are performed every day across America, most of us believe some ridiculous myths about them. Today, we’re getting to the bottom of things by explaining 6 things you probably believe about background checks – and why you’re probably wrong. Some people get weirdly defensive when employers notify you that they’re performing a criminal background check. In reality, background checks are an investment for employers. One bad employee can cost them a huge amount of money. They’re not trying to avoid hiring you: they’re doing their due diligence as smart business owners. The United States has laws that prevent employers from discriminating against you based on your criminal record. The US Equal Employment Opportunity Commission (EEOC) ensures that employers can’t deny you employment because of a criminal record (unless the crime you committed is directly related to the job to which you’re applying). For example, if you have a DUI, then you’ll have a hard time getting a job as a driving instructor. But if you have a DUI, then it’s unlikely (in fact, it’s illegal) to prevent you from getting an office job. Employment credit cards are handled differently from credit checks submitted by lenders. It’s true: when a lender checks your credit history to determine your lending status, that has a small effect on your credit history. But when an employer checks your credit for work, it doesn’t affect your credit. In some jobs, your credit history is irrelevant. In other jobs, however, employers check your credit history to determine how well you manage your money. If your new job requires you to manage a lot of money, for example, then your poor lending status may reduce your chances of getting a job. When someone says they’re doing a “background check” on you, they could be referring to all sorts of different things. Some background checks are literally just a Google Search of your name. Other background checks are deep searches into everything you’ve ever done in your life. Most are somewhere in between. In any case, just because you’ve applied for one job and got denied due to a criminal background check, don’t assume that all criminal background checks will reveal the same information. This is one of the most tragic misconceptions about criminal record checks: many people have gone their whole lives believing they have no criminal record, only to discover that’s not the case. Things can appear on your criminal record for all sorts of different reasons. Charges that were dropped, for example, can appear on your criminal record in some counties. Traffic charges, parking violations, misdemeanors, and other minor charges can also pop up. The best way to dispel your misconceptions about criminal record checks is to check your own criminal record – or someone else’s criminal record. Thousands of background checks are performed every day across America. Background checks are routine and common, but there are a surprising number of myths about background screening. Today, we’re revealing some of the most common myths about background screening that we hear every day. The United States has the highest incarceration rate in the world. You’re more likely to interact with a former prisoner in America than any other country in the world. 3.2% of Americans are under some type of correctional control. Despite these stats, many business owners (especially small business owners) still think they “would know” if one of their employees had a criminal background. The truth is: criminals aren’t always how you picture them in your head. You may be surprised by which of your employees (or future employees) has spent time in prison. The tragic part is that employee theft leads to the failure of 30% of small businesses. How many of these businesses could have been saved with a routine background check? Don’t fall for the myth that you “would know” if one of your employees had committed a crime. Be smarter than that and conduct your due diligence. Please note that you are forbidden from using Check Criminal Record to determine’s someone’s employability. We are not a Consumer Reporting Agency and you cannot use our criminal record search service for any tasks that require FCRA compliance. Ban the box laws are becoming more common across America and the number of FCRA class action lawsuits is on the rise. Given that information, it’s easy to see why companies are feeling nervous about background screening future employees. Nobody wants to get sued. However, it’s a bit of a catch 22 situation: your company could face a larger, more devastating lawsuit if you accept an employee with a criminal record. 2 million Americans are victimized by workplace violence every year (and many cases go unreported). In short, just because background check lawsuits are on the rise doesn’t mean other lawsuits have gone away. You need to protect yourself legally from multiple directions. Thanks to the internet and automated criminal court research platforms, finding someone’s criminal record has never been easier or cheaper than it is today. Check Criminal Record is famous for its competitive rates and quality results, for example, because we maintain a trusted network of data partners and have been able to keep low overhead costs: we’re happy to pass savings onto our customers. Of course, criminal record checks are also an investment in the future of your company. That investment sees a real return: one survey from Careerbuilder.com showed that 25% of businesses across America reported a bad hire cost them more than $50,000 in damages. Bad hires waste your time, your resources, and training times. Certain nationwide background checks promise to give you comprehensive information about someone’s criminal record – only to miss out significant information. Nationwide criminal records are a cheap and easy way to see if someone has any major criminal convictions – but they shouldn’t be the only way you check a job candidate. Use it as one tool in your arsenal. Not all background check services are thorough. If you’re going to pay for a background check, you might as well spend a little extra to get a more complete picture. Who knows what you’re missing when you work with a cheaper service? Note: Check Criminal Record is not a Consumer Reporting Agency as outlined in the Fair Credit Reporting Act (FCRA). That means you cannot use this website if you are searching for a person because you are considering them for employment, credit or insurance eligibility, tenancy, or any other reason that would require FCRA compliance.